I love hanging out with writers, educators and book lovers of all ages. As a visiting artist, with many years of experience in schools, classrooms, community-based organizations, and home education settings, I look for ways to support and enhance what’s already being done, and what writers already know, and offer tools and inspiration to encourage independent, joyful teaching and learning long after my visit has ended. I’m especially interested in online writing workshops and residencies (usually via Skype.) I’m also available for Skype presentations and/or Q&As with groups and classes. I do free 20-minute Skype Q&As with groups or classes that have read one of my books. (Thinking about programs for young activists? Read what the Albany-Times Union had to say about SUPERZERO and Mitali Perkins’ wonderful BAMBOO PEOPLE in this article by GRINGOLANDIA author Lyn Miller-Lachman.) And my interview with the Oklahoman about Clara Luper, the subject of my picture book, SOMEDAY IS NOW. I am also available in the tri-state area (NY, NJ, CONN) for extended residencies or workshops, including digital writing workshops, and will design custom writing workshops and programs (essay, realistic fiction, genre fiction, memoir, etc.) that complement K-12 classroom work and promote critical and creative thinking skills. I have years of experience in early childhood classrooms and can conduct reading and writing workshops using classic and current picture books, songs, and other activities to engage even the youngest children. 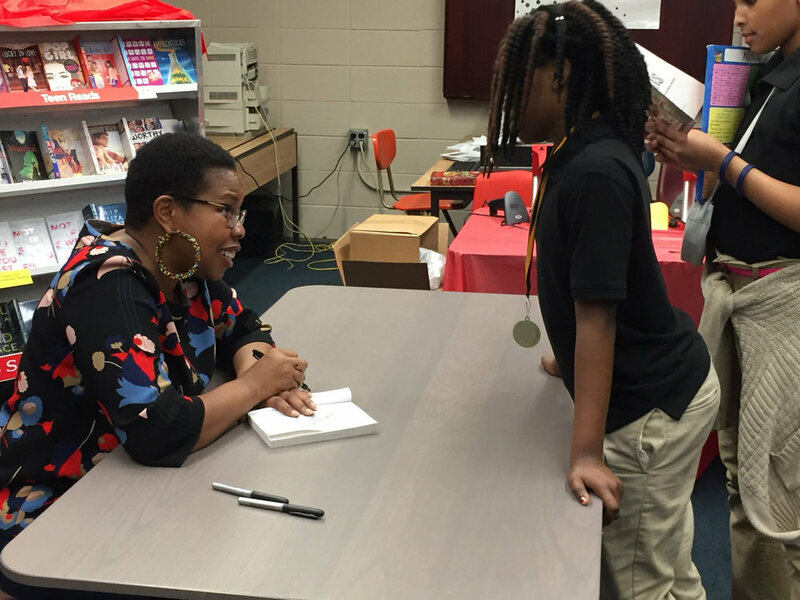 For school visits, signings, and related matters, please use the form on my Contact page, or send an email to olugbemisola@olugbemisolabooks.com. Thank you so much — hope to meet you soon!